Have you always been a fan of this classic story by famous author Lewis Carroll? This charming monochrome wall sticker is perfect for you to tell the magical tale to your children. 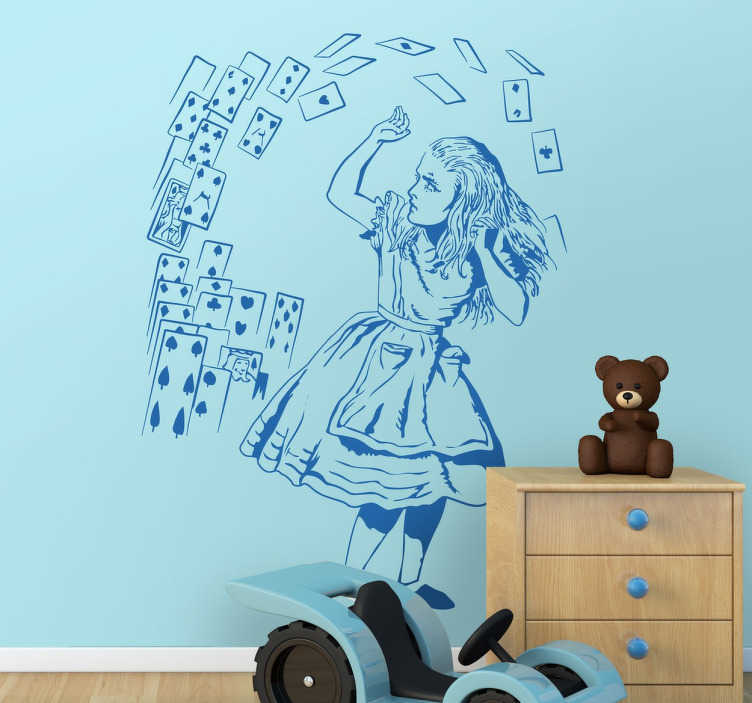 Cartoon decal of Alice and a flying deck of cards to decorate your child's bedroom or nursery, available in a variety of colours and sizes for you to add a personal touch to your home decor and spark the imagination of your kids. A detailed character illustration of Alice in Wonderland, surrounded by an array of playing cards.